Father’s Day is coming up, so naturally I needed to make some cookies ha! I did some for mother’s day, and I can’t forget all those RAD dads out there. Don’t people say “the way to a man’s heart is his stomach?”, so in that case it’s the perfect gift. 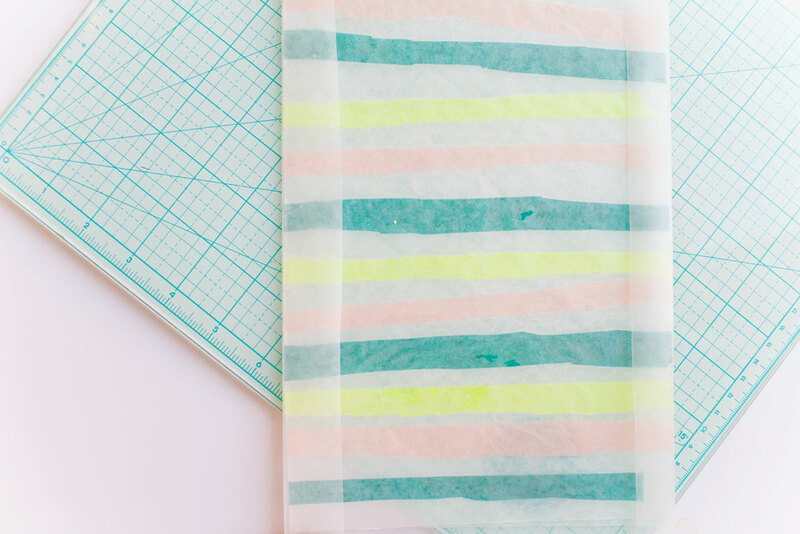 I made some fun striped wax paper bags for the cookies to go in. 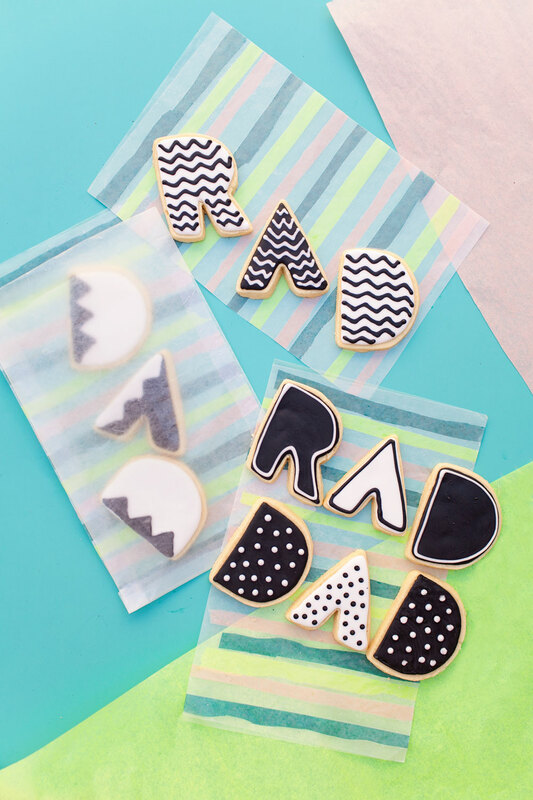 Fun RAD DAD cookies need a stylish bag of course and the DIY is so simple! 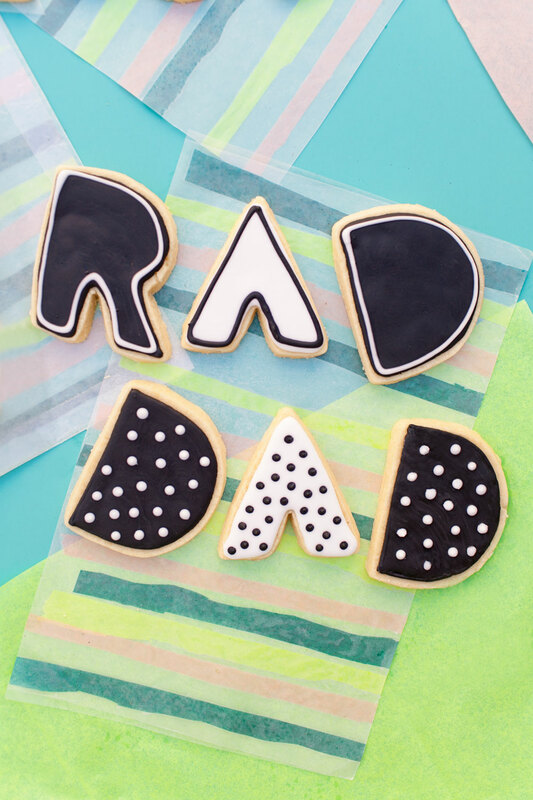 To make the Father’s Day cookies and frosting, you can find the recipes here. I used the letter “V” turned upside down for an “A”. It gave them a modern feel. 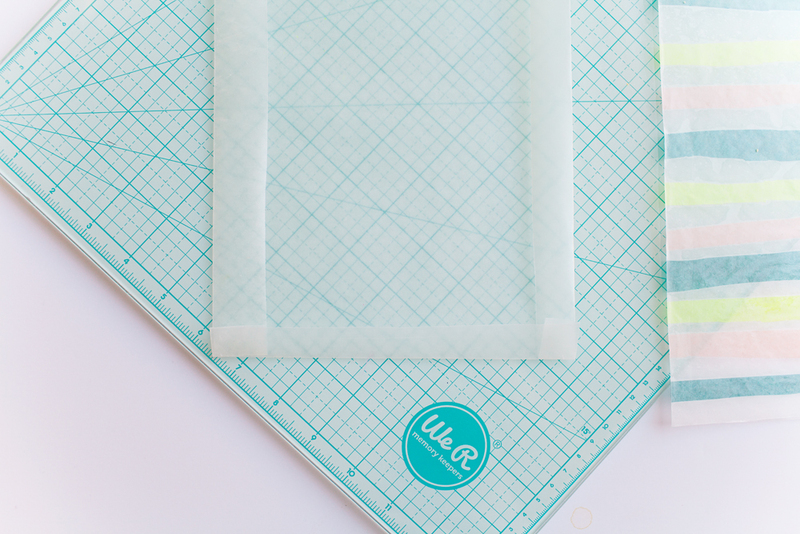 Lay another piece of wax paper on top, so the tissue paper is sandwiched between them both. 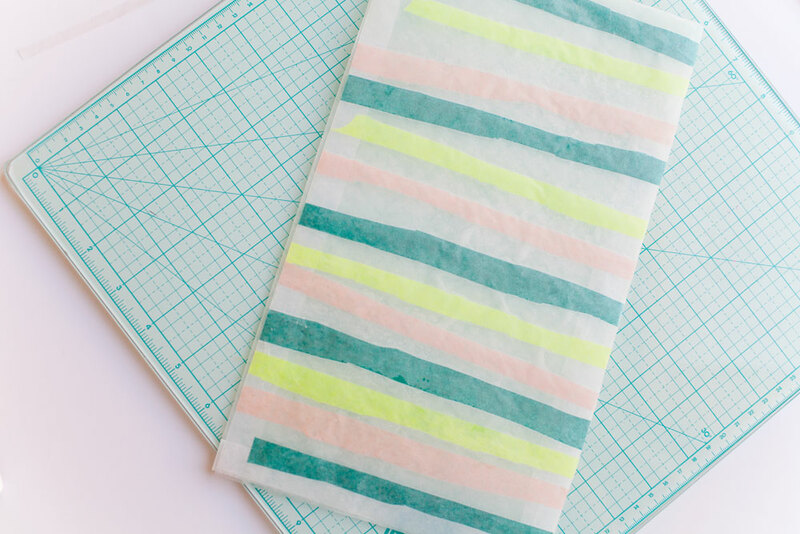 Put on ironing board and cover with paper towels (otherwise you will get wax on the iron). Iron over the paper towels. The two pieces of wax paper will stick together. 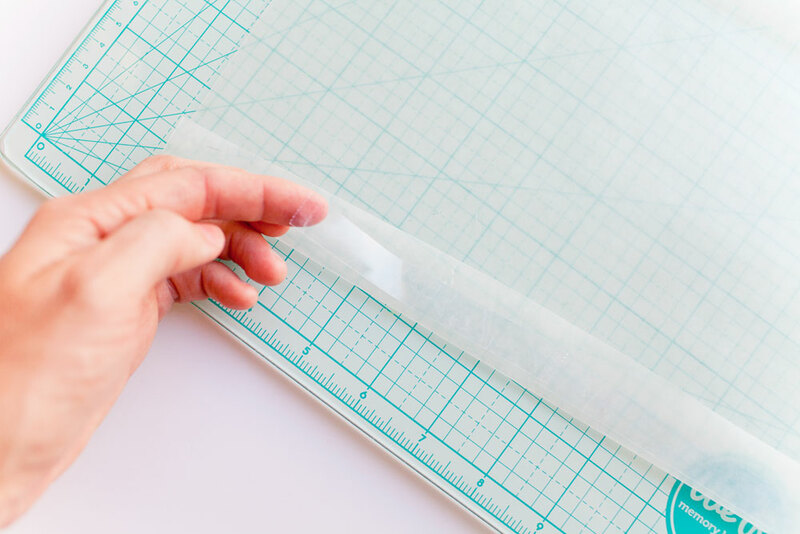 Cut the ironed piece down to size. 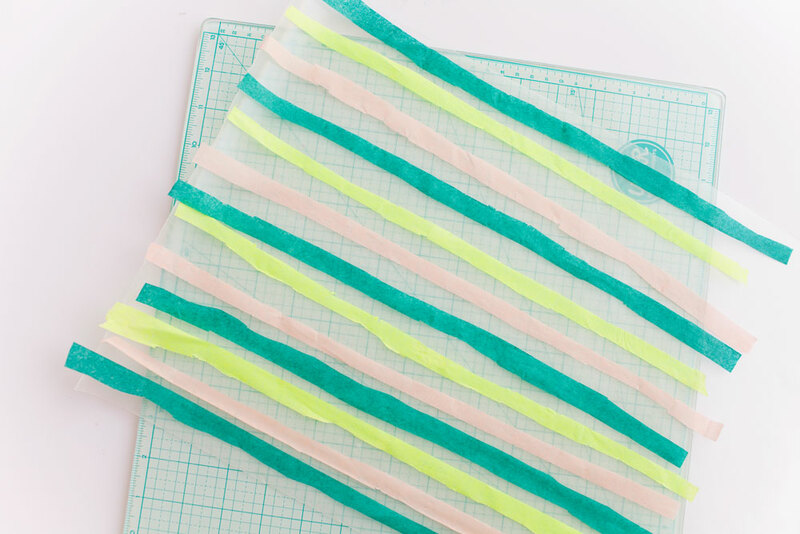 Cut another piece of wax paper, a little larger than the striped piece. 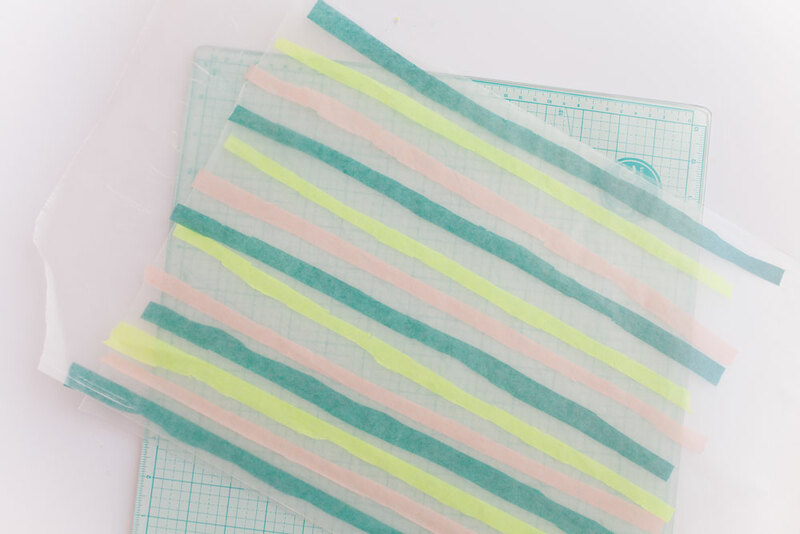 Place the striped piece on top and fold over the edges of the plain piece of wax paper. 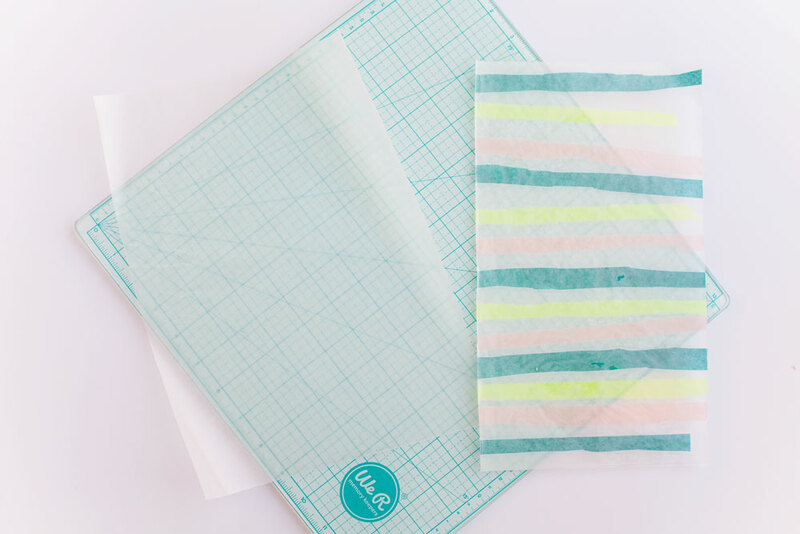 Tape on the double sided tape onto all the folded pieces. 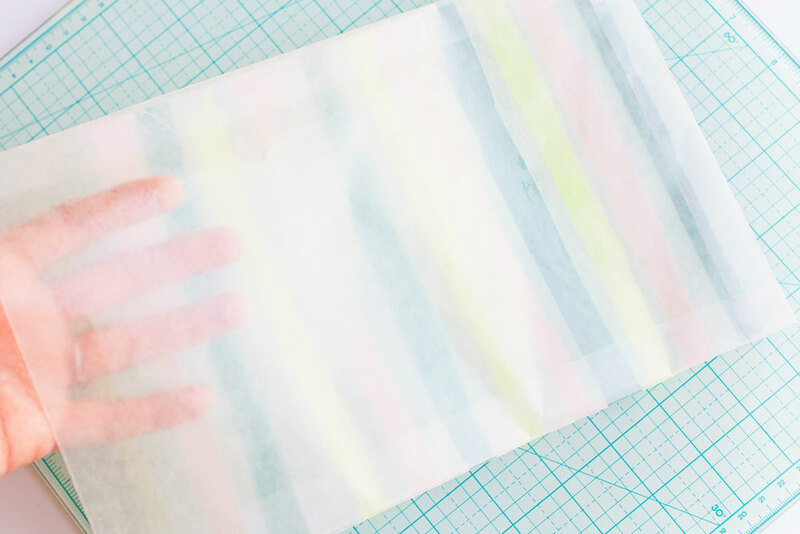 Place the striped piece of wax paper on top and press down all the taped edges. And you have a bag. Fill with cookies and wrap with twine and your done! Ahhh these are just the cutest! 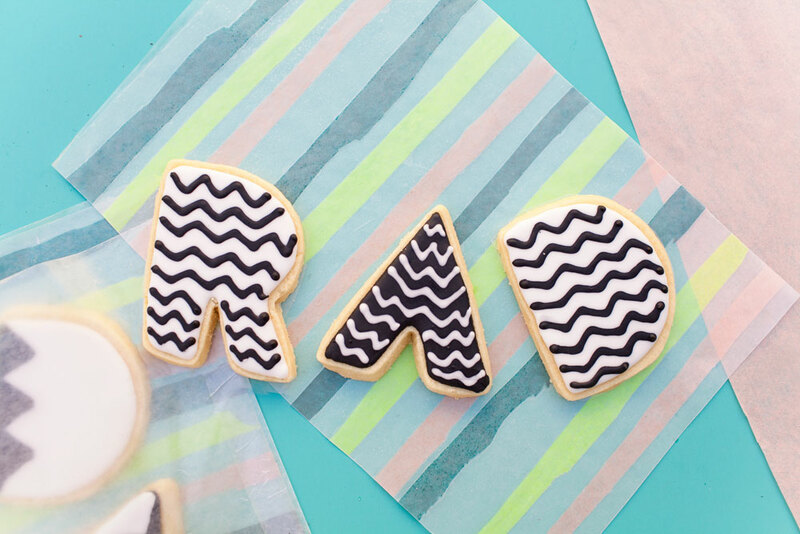 These cookies are the cutest! 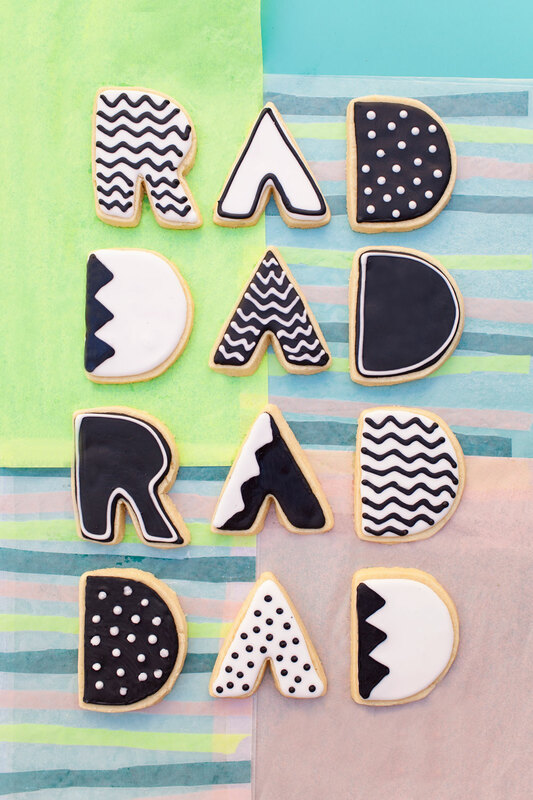 I want to try and make some for Sunday! These are SO adorable! Love everything. Oh my I love these so much! And the bags too! Your icing looks great! Every time I try to ice cookies the icing turns out too liquid-y. I can’t tell you how much I love this! Such a great (and delicious) idea!